In his freshman year at Cupertino High School, Utkarsh Tandon won the science fair with a machine learning model that collected and analyzed data on Parkinson’s disease. As a sophomore, Tandon went on to create a wearable device called OneRing that monitors Parkinson’s patients’ tremors and helps them manage their symptoms through an iOS app. The UCLA Brain Research Institute had promised a grant award for the winner of the science fair, but they might not have seen this coming. Tandon used that grant money to turn his winning project into a functional product. 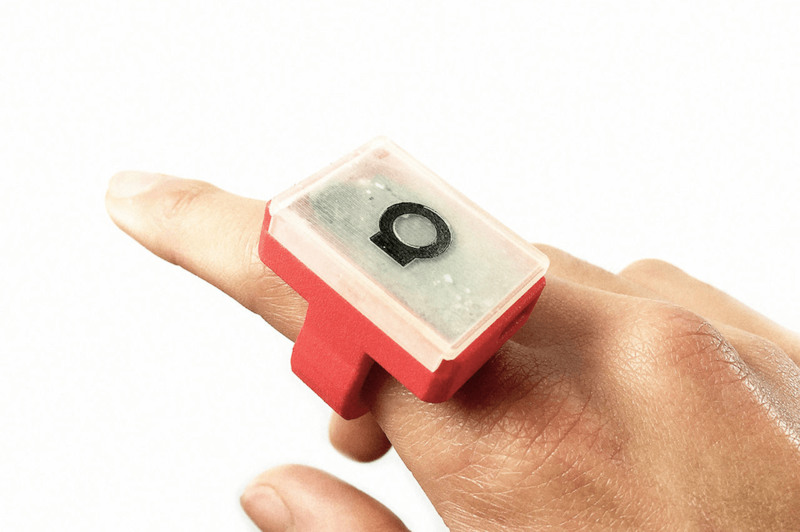 OneRing is a 3D printed plastic ring that contains a Bluetooth microchip, specifically designed to help people suffering from Parkinson’s. Tandon’s proprietary algorithm allows the ring to detect tremors and classify them based on intensity. Every day, the program generates a report with time-stamped data points to detail movement patterns throughout different times of day. The algorithm identifies three types of common movement patterns in Parkinson’s patients: dyskinesia, bradykinesia, and tremors. Tandon says that classifying the different types of movement can help physicians provide better care for patients by creating a dialogue around specific moments and incidents. By wearing the ring, Parkinson’s sufferers can focus on their lives without having to stop and record every tremor, and can still record that data in order to personalize their treatment and better communicate their needs. When Tandon was 10 years old, he saw YouTube video of Muhammad Ali lighting the 1996 Olympic torch that got him curious about Parkinson’s disease. Tandon started learning about artificial intelligence and programming in the ninth grade, but prodigal skills aside, it takes a particular kind of person to decide so young that it’s up to him to make a difference. A computer science class introduced Tandon to machine learning, and led to him uncovering scientific studies on people with Parkinson’s disease. He ended up using that publicly available data to build his freshman year science fair project, and the rest is history. “I thought, well, why don’t I test this out? I’ve always wanted to build something for Parkinson’s disease patients”, said Tandon. Tandon tested prototypes of his technology at the Parkinson’s Institute in Sunnyvale California before coming up with the final OneRing device, which was fully funded on Kickstarter earlier this month. His next steps include developing OneRing out of a flexible polymer material to allow for a one-size-fits all design, and working on the aesthetic design of the device to make it visually appealing for people suffering from Parkinson’s to wear all the time.